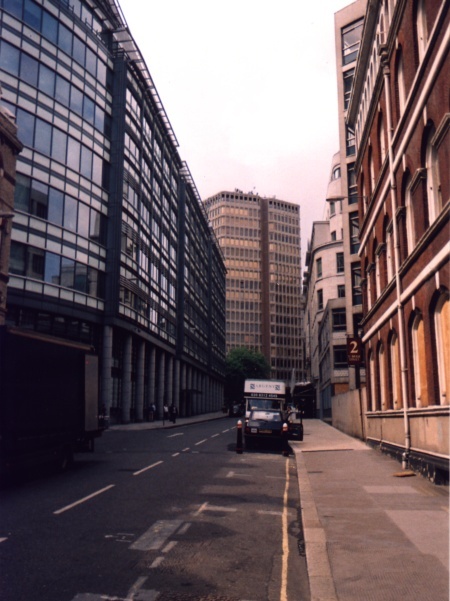 Best Vantage Point: St. Bride Street, off Farringdon Street. 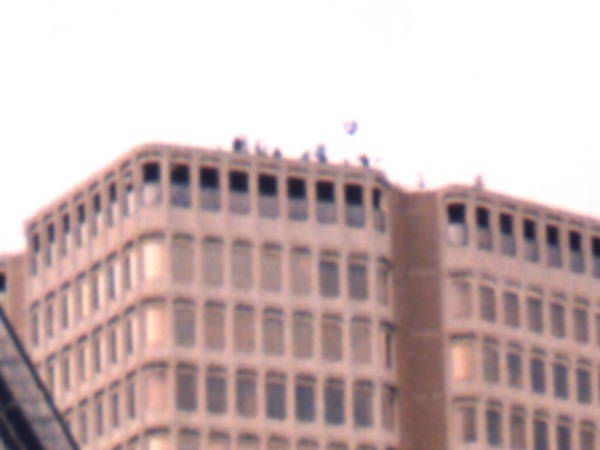 On the whole, unidentifiable figures moving on the roof very high up, only being visible when they were near the edge of the roof with the viewer standing some way off. There was definite evidence of filming equipment but really they could have been filming anything from that viewing distance. In the first photograph there is a figure in dark clothing on the far left with a figure in lighter clothing to their right - perhaps David Tennant with Catharine Tate. In the second photograph their positions are reversed. 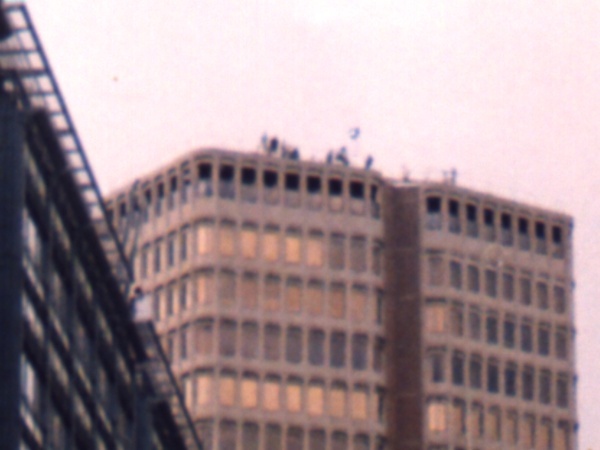 Before the photographs were taken, the viewer witnessed a scene from the base of the building where a figure dressed in dark clothing was right at the edge of the roof for a stunt shot, with their back to the edge, either seated or in a harness. This was in the V-shaped join between the two parts of the building.